"In my experience with and research about clay, I have come to the conclusion that good clay is homeostatic. This means that if you and I take the same clay at the same time we might get different results, based on what our bodies need. Homeostasis is the "tendency toward a stable state of equilibrium," so you may need some minerals I don’t and I may need some detoxification you don’t, and clay can do all of that." - Julie Crist, M. Ac. HOW DOES BENTONITE, A CLAY, WORK ? In the MEDICAL ANNALS of the DISTRICT OF COLUMBIA, Vol. 20, No. 6, June, 1961, under the title "The Value of Bentonite for Diarrhea" we may read the results of the clinical work performed by a team of medical doctors, using Hydrated Bentonite** in the treatment of diarrhea ( 34 cases ). The causative factors of the diarrhea were virus infections, food allergy, spastic colitis, and food poisoning. The results of the scientific investigation indicated that liquid bentonite provides substantial relief in 97 percent of the cases. The percent of relief indicated as to concomitant symptoms was: abdominal cramps 80%; headaches 71%; nausea 85%; and weakness 100%. The above investigation produced clinical "in vivo" ( in the animal body ) data as to the efficacy of HYDRATED BENTONITE as an aid in detoxification of the human alimentary canal ( in this instance, with respect to various factors causing diarrhea and certain concomitant symptoms ). "By virtue of its physical action bentonite serves as an adsorbent aid in detoxification of the intestinal canal." As to hydrated bentonite itself, let us learn more about it, and review the results of some "in vitro" ( in the laboratory ) experiments which illustrate how it works, so as to better comprehend why it acts as it does. 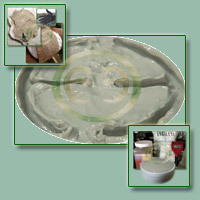 Bentonite is one of the volcanic ashes as is kaolin, Montmorillonite and Fuller's Earth. It is not a drug or a chemical composition made in a laboratory. It is a product of Mother Earth. Bentonite in ages past was blown into the sky by volcanic action, then sifted down to the earth to help impregnate the soil with its 25 to 35 trace minerals. But, sometimes it accumulated in layers or veins from which it is mined. 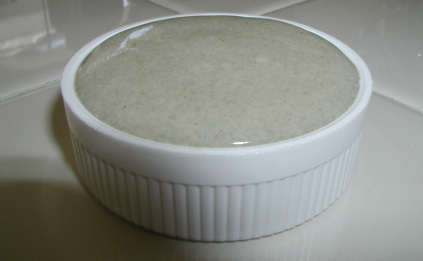 A secret process is used in producing the Hydrated Bentonite preparation ( which was employed in both the in vivo and in vitro experiments herein described - commercially sold as Vit-Ra-Tox #16, Sonne's #7 and Springreen #77 -- http://www.sonnes.com ). 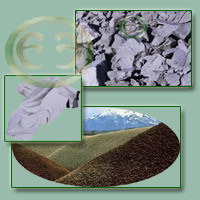 The natural bentonite is cleaned and the usable portion separated from the dirt and other residues. Bentonite, under a high power microscope, is seeing as extremely minute rectangular particles similar in shape to a calling card. America's outstanding authority on bentonite claims its action is due to five characteristics. First, it has a large and varied mineral content. Second, it has a negative electrical attraction for positively charged particles. In the human bodies many of the toxic poisons are positively charged. Third, its particles, being shaped like a "calling card" with the wide surfaces negative and the edges of the card positive, have many times more negative than positive pulling power. Fourth, the very minuteness of the particles of bentonite give a large surface area in proportion to the volume used thus enabling it pick up many times its own weight in positively charged particles. Fifth, to obtain maximum effectiveness in the human body, it must be put in a liquid colloidal-gel state. This is why it cannot be made into tablet form which would save shipping costs. There is no evidence to show it has any chemical effect on the body. Its actions seems to purely physical. In almost every common, chronic distress, there is a congestion - an un-eliminated accumulation of normal body wastes on which many germs can thrive. Both US Government Bureau of Mines Booklet #609, and a late edition of the Dispensatory of The United States of America, an official compendium, give bentonite high praise. We quote from an addition of the US Dispensatory: "In aqueous suspension, the individual particles of bentonite are negatively charged, this resulting in a strong attraction for positively charged particles and being responsible for the ability in bentonite to clarify such liquid as contains positively charged particles of suspended matter . . . In addition to the growing number of external uses for bentonite, it has been reported to be of value as an intestinal evacuant when used in the form of a gel." According to Robert T. Martins, B.S., University of Minnesota; Ph.D., Cornell University and Mineralogist at Massachusetts Institute of Technology, one gram ( 1/28th of an ounce ) of this product has a surface area of 800 sq. meters. This would be forty times that of its only competitor now being commercially used by doctors and hospitals. The greater the surface area the greater its power to pick up positively particles. Since our product is mostly water with only proportion of bentonite, to reach this state of toxicity it would mean projecting the results of this experiment to where the person would have to consume each day a supply designed for 1032 days. In other words, mathematically for the bentonite in our product to reach the toxic level of 50% of the diet it would be necessary to consume a three year supply each day over an extended period. Three IN VITRO ( in the laboratory ) experiments ( reviewed below ) were conducted by Dr. Howard E. Lind, M.S., BS, Ph.D. Dr. Lind is president of Lind Laboratories, Brookline, Mass. He was born in Providence, R.I., 1913; received his Bachelor of Science from the University of RI, 1934 and was assistant in Bacteriology there 1934 - 1935; Master of Public Health, Mass. Institute of Technology 1937; attended Saint Louis University 1939 - 1940; Senior Bacteriologist at Chicago Branch Laboratory, State Health Dept., Illinois 1940 - 1943; Bacteriologist at Dow Chemical Co., 1945 - 1946; Research Director at Sias Memorial Laboratory of Brooks Hospital, Brookline, Mass., 1946 to date. To demonstrate in vitro sorptive ( to condense and hold upon its surface ) powers of an aqueous solution of bentonite. One hundred fifty milliliters of the Bentonite preparation were placed in a 250 ml. beaker which contained a plastic coated magnetic agitator. One ml. of a 24 hour broth culture of serratia marcescene was added to the bentonite preparation and the beaker placed on a magnetic agitator. One ml. of a 24 hour broth culture of serratia marcescene was added to the bentonite preparation and the beaker placed on a magnetic stirrer. In order to avoid the heat of the magnetic stirrer the beaker was placed approximately 1/4 inch above the base. After five minutes of stirring, 1 ml. of bentonite suspension was removed for culturing. A brass-coated mesh cylinder containing alkaline pellets was lowered into the bentonite-bacteria mixture and allowed to remain for thirty minutes. The cylinder with its surrounding jell was removed, washed with water, filled with new pellets and again placed in the bentonite-bacteria solution. This was repeated at 30 minute intervals for 90 minutes. This experiment was repeated several times to show that the phenomenon was genuine and reproducible. The two trials below indicate the quantitative extremes of bacteria population change. These two trials representing the extremes of a series of runs show a minimum reduction of 85% and a maximum reduction of 99% of the bacteria in 90 minutes. Results indicate that approximately 25% of the bentonite preparation was able to remove 85% to 99% of the organisms. The research results indicated that by the in vitro method it has been possible to demonstrate that the bentonite preparation Vit-Ra-Tox #16 ( et al. ) is able to remove bacteria by sorption. It was definitely established that the bacteria were not inactivated but were removed by sorption. 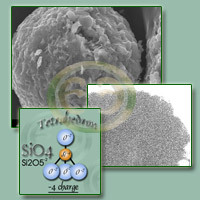 To demonstrate in vivo sorption powers of a bentonite preparation against two organisms, Escherichia coli ( a gram-negative organism ) and Staphylococcus Aureus ( a gram-positive organism ). Essentially the same as in Experiment I, reported above, but modified by using a four-hour culture instead of the 24-hour culture of Experiment I. This was to avoid excessive clumping of the organisms. The above two trials show that the E. coli were reduced 100% and 91% respectively after 60 to 90 minutes using only about 20% of the bentonite preparation. This compares favorably with the removal of the serratia marcescents in Experiment I above. With S. Aureus ( a gram-positive organism ), in Trials 1, 2, 3, it was shown that the numbers of S. Aureus were reduced 21%, 39%, and 40% respectively, or an average of 33%. Results of these trials indicate that 20-30% of the bentonite was able to remove 33% of the organisms. The research indicated that by the technique employed, it has been possible to confirm the previous conclusion that the bentonite preparation can remove significant numbers of certain gram-negative bacteria, while it appears to be only one-third as effective as to a gram-positive organism, S. Aureus. Essentially the same as that used in Experiment I and II above, using the 4-hour culture used in Experiment II instead of the 24-hour one of Experiment I, and lowering the concentration of each organism. In trials #1 and #2, it was shown that the numbers of Proteus mirabilis were reduced 100% after 90 to 120 minutes in the concentration of organisms employed by 15% of the volume of bentonite. In trials #3 and #4 it was indicated that approximately 15% of the bentonite preparation removed from 95-100% of Proteus mirabilis organism, 83-100% of the E. coli organisms and 100% of the S. aureus organism in the concentrations employed. In other words there appeared to be selective sorption when the quantity of organism concentration was much less than the high concentration used in previous tests. With lower concentrations of mixed organisms there appears to be selective sorption. However, when the population of mixed organisms is over 100,000 and the concentration of bentonite remains the same as when individual organisms were used, there was apparently little or no selective sorption by the technique employed. Thus it may be that selectivity of mixed organisms above 100,000 will require the use of a much larger quantity of bentonite than that used for sorption of single organisms or for sorption of mixed organisms under 100,000 population. or a reduction of only 1% which should be rapidly replaced with or a reduction of 50% in this category, bringing the population back to a more normal state, where it should stay if conditions of normal good health prevail. Note: In this summary Dr. Lind stated, "It also appears that if one wishes to accurately determine that a specific organism will be removed or sorpted from the gut by bentonite, one must set up "in vivo" experiments in animals. This would involve oral administration of the specific organism in question and following its path through the gut in the presence of a bentonite preparation." The clinical work done by Dr. Damrau's group mentioned in the first paragraph of this article, seems to have already demonstrated this "in vivo" ( in the body ) within the scope of the matters under investigation. In that research results in the treatment of diarrhea in humans were indicated as 97% satisfactory and had the dosage been raised as per Dr. Lind's procedures, the results might have been more impressive. fungal infection after trying many creams with cortasone which failed, the results were excellent. I was able to get 100% positive cure, after one week.